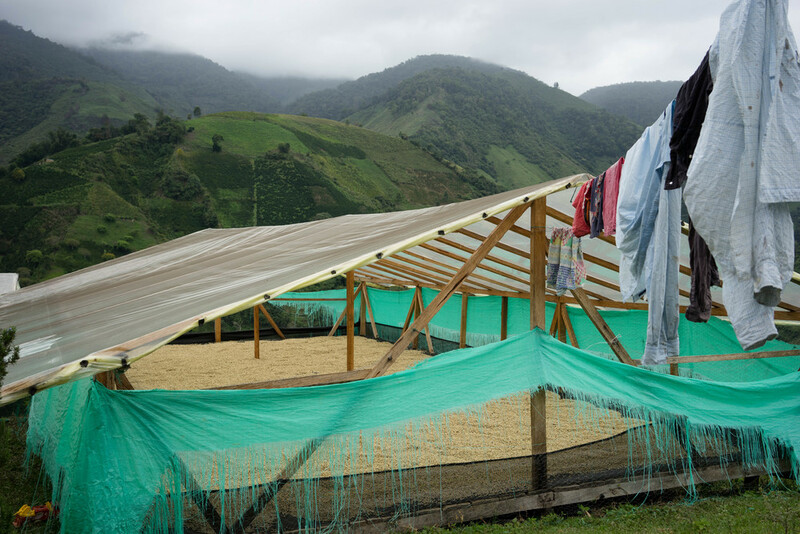 We have been focusing a lot on Colombia over the last two years, putting a lot of time and work in developing the projects we have started with our exporter and the cooperatives Coocentral in Huila, Cafisur in Tolima, and Buesaco in Nariño. The focus for this trip, in July, was on Hulia and Tolima. For a general introduction to our work in Colombia, please read this blog post from 2014. We were expecting it to be at the peak of the mitaka, or fly-crop, when we arrived, but soon realized that this would not be the case. It had been raining continuously for the last four weeks in many parts of Huila, delaying the mitaka harvest with a couple of months. This creates several problems for the farmers, both financially and in terms of production. Drying is already one of the bigger challenges for the producers, and now with this weather it would in worst cases almost impossible to get proper drying. In spite of this, there are some great lots coming through from the areas where the weather has been less harsh. The volumes are still smaller than what we normally would have expected, though. The general impression is that we are really beginning to see results of the Premium program that we are running – aka El Divino Niño. It’s been just over a year since we started actively reaching out to a selection of farmers, and using Finca Tamana as a model for picking, processing and drying. Sharing the knowledge and experiences from Tamana with other farmers in the region has proved rewarding for all parties. The first container, ETA early October, will have these producers: Ernedys Rodriguez, Ananias Perez, Fray Berneth Oritz, Jaiber Joven, and a blended lot with farmers that delivered great coffee but in smaller quantities, which will be called El Divino Niño #1. Together with our exporter we have committed to a group of farmers in Tarqui. We have bought coffees from here earlier, but this area in Huila, southwest of Garzón, is relatively undiscovered. Tarqui was suffering from the heavy rain, so for the first container we will only have a blended lot with a mix of smaller volumes. Blends from the Tarqui group will be called El Triunfo, so this first taste will be named El Triunfo #1, naturally. 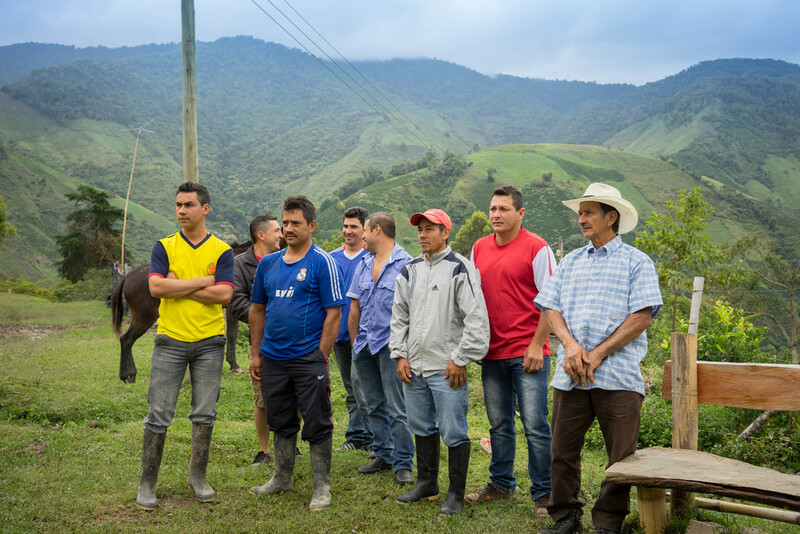 In collaboration with Cafisur, we have been applying the same principles to a group of farmers in the Southern municipalities Planadas, Ataco, and Chaparral. Southern Tolima is bordering Huila, divided by a mountain range (Central Cordillera). The easy way to get there from Huila is by flying to the regional capital Ibagué, and drive from there. The other option is to drive the shorter, but considerably less comfy, way over the mountain. I chose the first option. This also allowed me to stay a couple of days in Ibagué, where Cafisur have their headquarters. We were cupping through a bunch of coffees over two days, and the general impression after the cupping is that Tolima is a region with plenty of undiscovered gems. 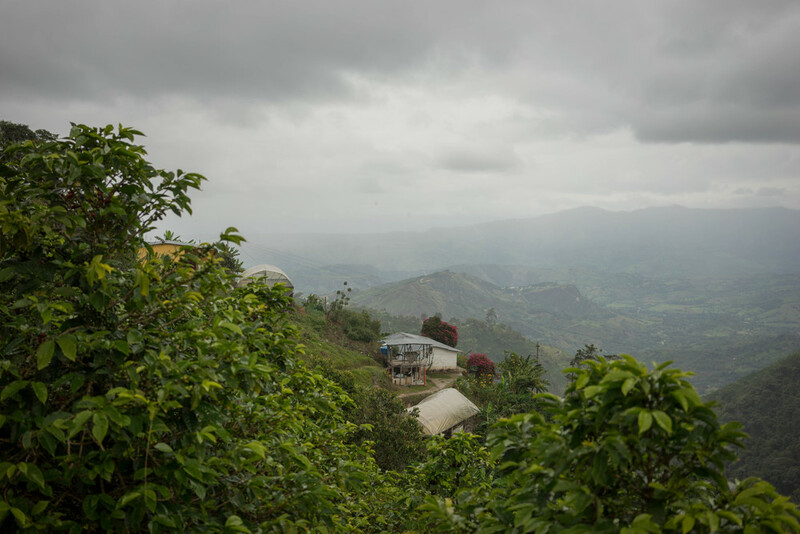 After staying in Ibagué we headed south to Planadas, Ataco, and Chaparral, to visit some of the farmers we had cupped the days before. First stop was Gaitania and Astrid Medina’s farm Buena Vista. Gaitania is a small town in the Planadas municipality in the very south of Tolima. An area that only ten years ago were very much suffering from the war between the FARC guerrilla and the Colombian government army, but that is now getting back on its feet. It’s an area in quick development, and we see roadworks and infrastructure improvements many places as we drive through the beautiful landscapes. 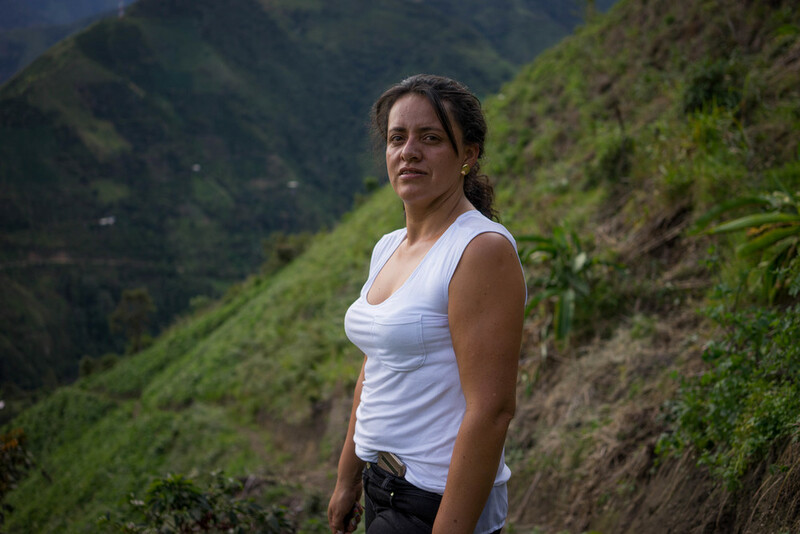 After cupping her coffee, meeting her in person, and visiting her farm, it was no big surprise to find that Astrid Medina is the winner of this year’s Cup of Excellence. We have formed a partnership with her, and have committed to purchase all the coffee they produce that fulfill our criteria regarding cupping score, yield factor, moisture level, and so on. Astrid said that she now finally can paying the pickers what they want and deserve, because of the premium we will pay. The same goes for Hernando Gomez, who I also visited and who we also made a partnership with. Hernando Gomez is in another Municipality, Planadas, slightly north of Gaitania. 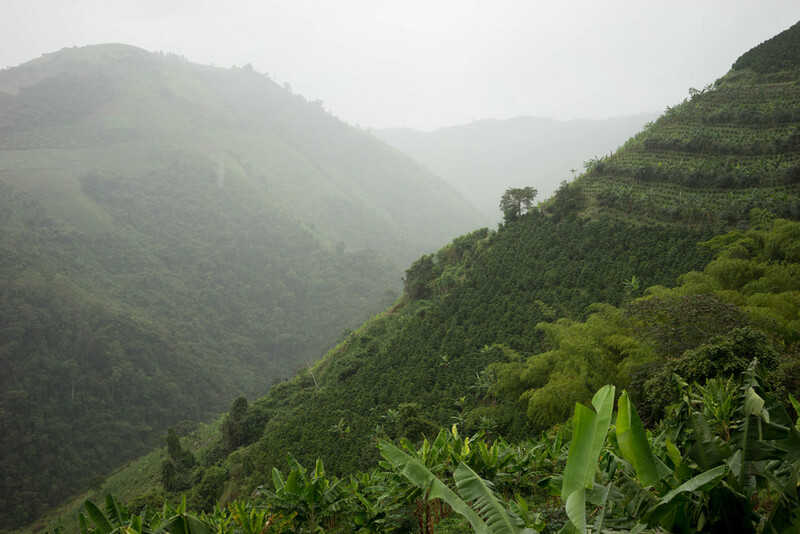 His 6-hectare farm, Bella Vista, is at a high altitude (1950 masl), has good soil, and fresh rain water coming from 1400 meters higher up the mountains. One of the big challenges for him and the other farmers in this area is the remote location. 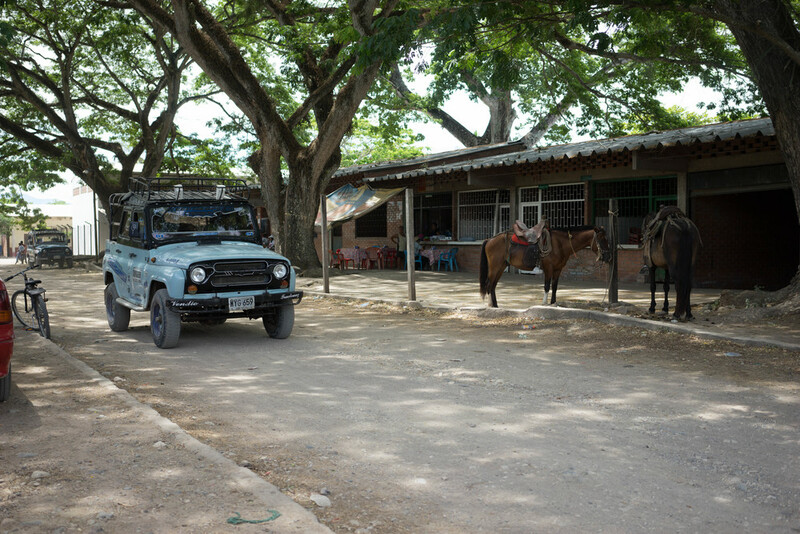 It takes more than one hour on very narrow and steep dirt roads down to the nearest bodega or purchase point. 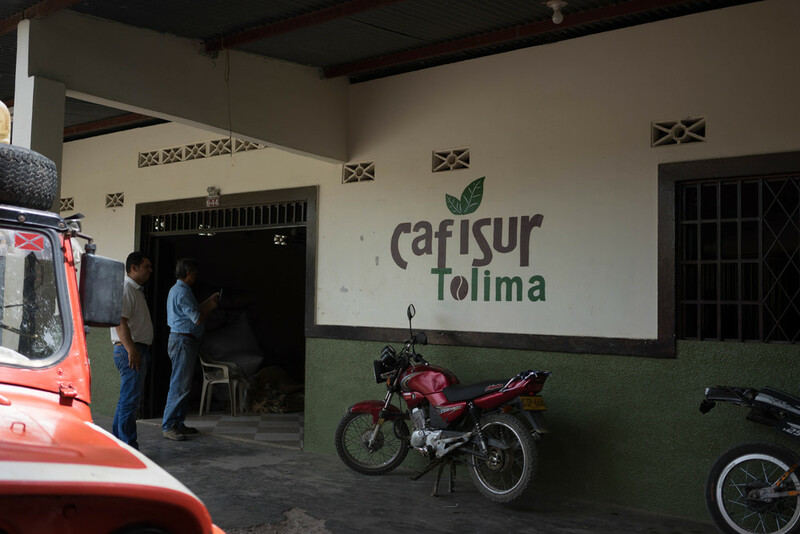 Tolima is a region we really believe in, and can guarantee that we will see only more and more interesting and extremely tasty coffees from here over the coming years. We are looking forward to share this with you all!